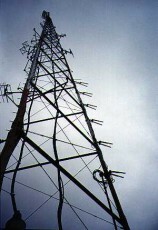 KPFA recently lost its main antenna. That’s the signal radiating elements at the top of the KPFA tower which transmits the station’s 59,000 Watts of stereo power. We are now broadcasting from our Auxiliary antenna mounted about 100 feet below our main antenna on the tower. The biggest effect is that listeners in the outlying areas of our signal coverage and those who are partially blocked by terrain that a 100 feet higher antenna would overcome, will receive a very degraded signal, unfortunately. 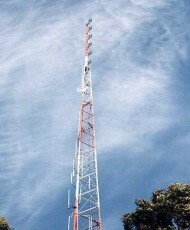 We have ordered an antenna rebuild kit and hope to get a tower climbing crew to install it by Monday 3/28. In the meantime you can still listen online at www.kpfa.org. Or on Comcast digital channel 967.